Although the Colts met with free agent running back Jay Ajayi this week, there’s no deal imminent between the two parties, per Ian Rapoport of NFL.com (Twitter link). 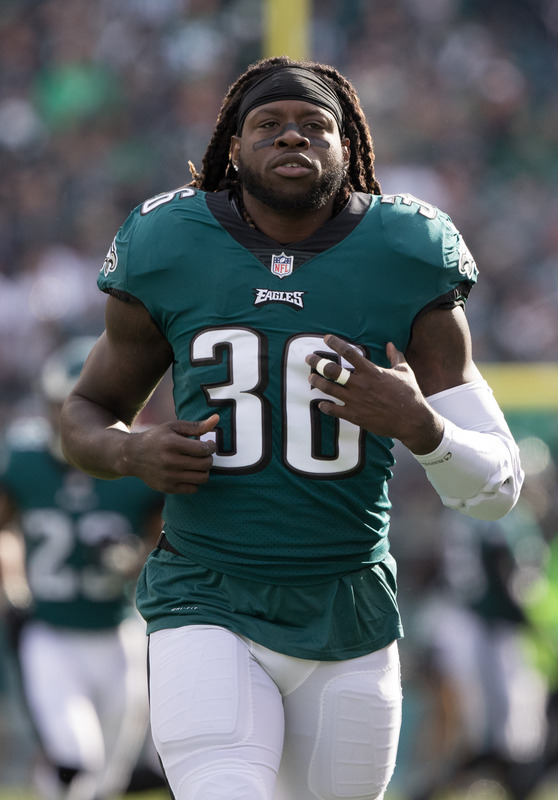 However, Indianapolis does plan to continue talking with Ajayi, which suggests it could look to sign the ex-Eagle down the line. Ajayi, 25, is arguably the best back still available on the open market after Le’Veon Bell, Tevin Coleman, and Mark Ingram came off the board during the first week of free agency. The Colts don’t necessarily need another running back given their depth chart already includes Marlon Mack, Jordan Wilkins, and Nyheim Hines, but Ajayi could give the club another dimension in the backfield. The Giants had interest in defensive end Vinny Curry before he signed with the division-rival Eagles, and in fact offered Curry more money than Philadelphia, reports Jordan Raanan of ESPN.com (Twitter link). Aside from last season, Curry had spent his entire career with the Eagles, and it sounds like he simply preferred to return to Philadelphia rather than consider other destinations. Indeed, Curry only landed a one-year deal with a base value of $2.25MM from the Eagles, although the pact does contain $1.25MM in incentives. Before landing with the Eagles, Curry also took a visit with the Bengals. Free agent Jake Fisher will work out as a tight end for the Bills on Thursday, tweets John Keim of ESPN.com. A second-round pick of the Bengals as an offensive tackle in 2015, Fisher is now attempting to convert to a skill position, and is reportedly down to 285 pounds. Fisher, who played tight end in high school, has been limited by injuries and ineffectiveness throughout his career, and has started just 12 games in four years. He’s also auditioned for the Texans and Redskins. The Lions hosted defensive tackle Al Woods on Wednesday, according to NFL reporter Howard Balzer (Twitter link). Woods is now entering his age-32 season and didn’t perform well in 2018 (bottom-20 DT among 112 qualifiers, per Pro Football Focus), so he likely won’t command much guaranteed money. Detroit is already well-stocked in the middle of its defensive line with Damon Harrison, A’Shawn Robinson, and Da’Shawn Hand in tow. Although he recently announced his retirement and took a collegiate coaching position, former Buccaneers tight end/fullback Alan Cross took a visit with the Chiefs this week, tweets Greg Auman of The Athletic. Cross, who posted 13 receptions over three seasons in Tampa Bay, would give Kansas City an option as they seek to replace former No. 2 tight end Demetrius Harris. The Chiefs also met with former Jets tight end Neal Sterling this week. Jay Ajayi is set to visit with the Colts next week, reports NFL.com’s Ian Rapoport (via Twitter). It was only two years ago that Ajayi had just wrapped up a 1,272-yard campaign with the Dolphins. Since that time, the 25-year-old has been traded, forced to take on a reduced role, and suffered a major injury, and this will presumably reduce his value on the open market. 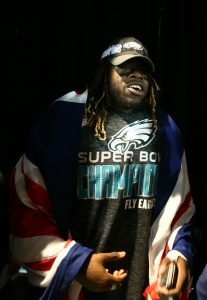 After being acquired from Miami during the 2017 campaign, Ajayi ended up playing a significant role for Philly en route to a Super Bowl championship. While he was the starter heading into the 2018 season, he was forced to share carries with several of his teammates. Ajayi then tore his ACL during Week 5, ending his season early. He ultimately finished the campaign having compiled 184 rushing yards and three touchdowns in four games (three starts). The Colts aren’t necessarily hurting for running back depth. Marlon Mack had a breakout season in 2019, and they’re also rostering a pair of 2018 draft picks in Nyheim Hines and Jordan Wilkins. Is Eli Manning to blame for the Giants’ 1-4 start? That’s not necessarily a new question in New Jersey. People in the Giants organization began wondering if Manning was hindering the offense as early as four or five years ago, sources with knowledge of the club’s thinking tell Jordan Raanan of ESPN.com. Recently, Odell Beckham Jr. made waves by questioning Manning’s effectiveness, among other things. One could argue that the offensive line is hindering the passing game, but that excuse might not hold up after the Giants signed left tackle Nate Solder to a four-year, $62MM deal with $34.8MM guaranteed. Last year, Giants fans revolted when the club benched Manning in order to audition backup Geno Smith. Ultimately, the Giants reversed course by reinstate Manning as the starter and tossing GM Jerry Reese and coach Ben McAdoo on the Turnpike. If the Giants continue to struggle this year, the new regime might be able to move on from Manning without fan interference. Manning’s contract runs through the end of the 2019 season, but the Giants can release him this offseason with just $6.2MM in dead money versus a cap savings of $17MM. The $17MM savings won’t be enough to sign an elite quarterback (if there is one available), but the Giants could find their signal caller of the future in the draft, particularly if they’re picking in the top five. Eagles running back Jay Ajayi is done for the year after suffering a torn ACL, but he’s protected thanks to a unique insurance policy, as Ian Rapoport of NFL.com writes. Ajayi’s loss-of-value insurance policy will cover him up to $5MM, tax free, in the event that his open market value dips to the point where he is a lower-level free agent. The exact parameters of his policy are unknown, but if Ajayi was valued as being able to earn a four-year, $16MM deal before the injury, but nets just $8MM over four years after the ACL tear, the policy will nearly make up the difference. Most players do not have policies such as this, but it’s something that pending free agents should probably look into. Rapoport hears that this type of insurance can cost between $80K-$100K, and that’s a relative drop in the bucket for players who are in the mix for mega deals. The Eagles’ depleted running back situation became considerably thinner on Monday. The team is placing starter Jay Ajayi on IR. A knee malady’s afflicting Ajayi, Ian Rapoport of NFL.com reports (on Twitter), and ESPN’s Adam Schefter reveals (via Twitter) it’s a severe setback. Ajayi tore an ACL and will miss the rest of the season. The 25-year-old back was already playing through a fracture in his back. The Eagles signed defensive tackle T.Y. McGill to take Ajayi’s roster spot. This is brutal timing for Ajayi, who is in a contract year. The fourth-year running back had knee issues coming into the NFL, and they’re believed to have caused the 2015 fifth-round pick to have dropped in the draft. Nevertheless, he submitted two seasons of starter work, the second of which helping the 2017 Eagles soar to the Super Bowl LII championship. Now, Ajayi will likely head into free agency on the heels of one of the worst injuries possible in football. Philadelphia already has been without Darren Sproles and Corey Clement, forcing the likes of Wendell Smallwood — the team’s previous No. 4 back — and Josh Adams (the player whom Smallwood beat out for that back-end job during the preseason) into action. Clement, though, looks to be close to returning from his quadriceps injury. He was active on Sunday against the Vikings but didn’t play. This also figures to add heat to the Le’Veon Bell-to-Philly rumors. That’s been out there for several days now, with the Eagles reportedly giving “serious consideration” to acquiring Bell from the Steelers. Now that their backfield is bereft of a proven starter, this figures to be perhaps the team to watch if Pittsburgh is indeed ready to unload its superstar back. Ajayi exited Week 5 averaging 4.1 yards per carry. Following the midseason trade from the Dolphins, Ajayi posted a stellar figure of 5.8 per tote for the Eagles last season. He rushed for a career-high 1,273 yards en route to a Pro Bowl nod in 2016. It’s fair to wonder if Ajayi will be able to secure a medium- or long-term pact from a team after this ill-timed injury. Frank Gore may be competing for touches with fellow running back Kenyan Drake, but that doesn’t mean the veteran isn’t impressed by his Dolphins teammate. In fact, Gore told Jason Lieser of the Palm Beach Post that he understands why the organization moved on from their former starter in order to give Drake more reps last season. Ultimately, Gore is expected to be a mentor to both Drake and fourth-rounder Kalen Ballage. Despite running for at least 850 yards for the 12th-straight season in 2017, the veteran is willing to have a larger impact off the field than on the field. Blake Bortles is looking forward to his first healthy season in several years. The Jaguars quarterback told ESPN’s Michael DiRocco that he’s been tolerating a right wrist injury for several seasons, forcing him to have three cortisone injections in 2017. Bortles finally opted for surgery this offseason to repair a partially torn ligament on the outside of his wrist, and the 26-year-old said the operation helped him have the best offseason and training camp of his career. “When you do not have to worry about going to rehab or going to get treatment, you have to make sure you warm it up the right way, you have to take anti-inflammatory [medication] and do all of that stuff. … It is just a lot of process to be able to go out there and do what you should be able to do without any pain,” Bortles said. “To be able to do that now finally is pretty awesome.” Despite the injury, Bortles managed to complete a career-high 60.2-percent of his passes last season for 3,687 yards, 21 touchdowns, and 13 interceptions. The Bills traded for former first-round wideout Corey Coleman last night, and Joe Buscaglia of WKBW.com believes the receiver could have an immediate impact on his new team. The writer points out that Kelvin Benjamin and Jeremy Kerley are the only two players locked in at the top of the Bills depth chart, and this was emphasized when the coaching staff add recently-recovered Andre Holmes to the first team during camp (Zay Jones has since recovered from his injury, as well). At the very least, Coleman will provide the Bills with unmatched speed, a skill set that the team’s fellow receivers are lacking. When the Patriots released wideout Malcolm Mitchell earlier today, many assumed the former fourth-rounder was still battling a nagging knee injury. While that could be partly true, NFL.com’s Ian Rapoport tweets that the receiver was waived as a healthy player. This means Mitchell passed his final physical with the organization. After making six starts as a rookie in 2016, Mitchell sat out the entire 2017 campaign due to injury.